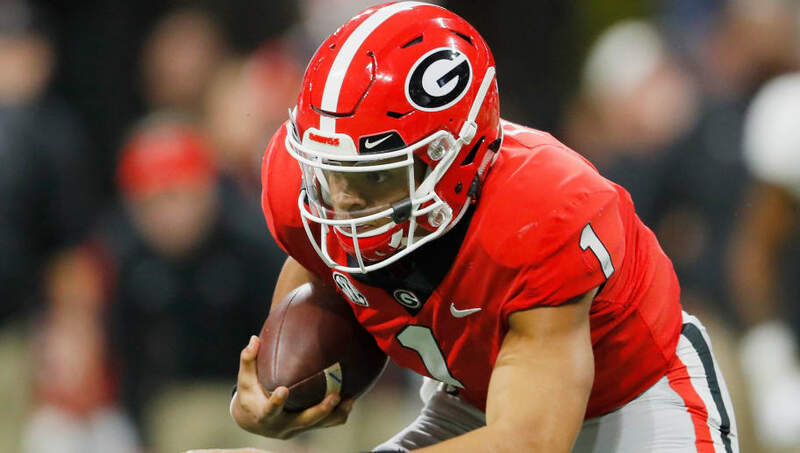 The Ohio State Buckeyes fans rejoiced earlier today as transfer quarterback Justin Fields was approved by the NCAA to play immediately in the 2019-20 season. This is huge news for the Scarlet and Gray as they hope to earn a spot in the College Football Playoff after barely missing out last season. Due to the anticipated level play from the much-heralded Fields, the Buckeyes are a major threat to make the CFP in search of a national championship to kick off the Ryan Day era, who faces the tall task of succeeding Urban Meyer and continuing the program's dominance of the Big Ten. Fields was a 5-star recruit coming of Harrison High School, and is considered to be tied for the No. 8 prospect all time according to 247Sports. Although he only made brief appearances in 12 games, Fields had four touchdowns on the ground to go along with four through the air. With talent like his behind center, UGA offensive coordinator Kevin Wilson will be able to get creative and keep defenses off balance. And unlike the case of 2018 Heisman finalist Dwayne Haskins, fields will be able to grow and thrive as a full-time starter for more than just one season. "I will work hard to represent you and The Ohio State University in a professional and respectful manner." Fields' running ability will open up an attack that almost produced two 1,000-yard rushers last season. A power run game will permit OSU to slow games down and give a defense that gave 25 points per game last season a chance to rest. Ohio State may end up with less competition for a CFP spot than in years past, season which bodes well for their chances to go the distance. Notre Dame, after last year's brilliant regular season, ended the year in blowout fashion, which will cause Playoff voters to think twice about their viability compared to a Power 5 conference champ. In addition, the Oklahoma Sooners lost Heisman quarterback Kyler Murray. If ​Ohio State can repeat the record they had last year, it could be enough to earn them a spot in the last four. The Buckeyes don't rebuild; they reload. The Ryan Day-Justin Fields era has every chance to set the college football world on fire.